Panasonic's new airplane seat, shown at CES 2016, could be the answer for frequent fliers' demand for better in-flight entertainment. Pretty much everything about flying stinks, including those dinky little screens that airlines glue to the back of the seat in front of you. In today's world of tablets with HD displays, phones with giant screens and PCs with beautiful touchscreens, the video displays on planes don't really cut it anymore. 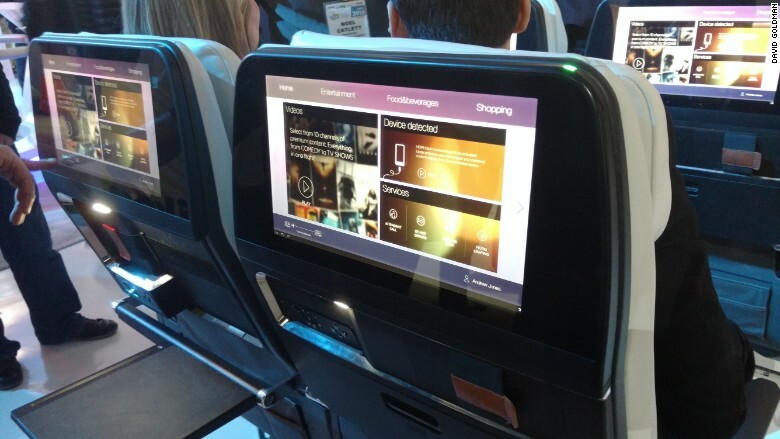 Panasonic, which makes most of the entertainment technology on airplanes, thinks it has an answer for frequent fliers' demand for better in-flight entertainment. In economy class, Panasonic is building ultra-thin 13-inch HD touchscreen displays that pretty much span the entire back of the seat in front of you. The screens in coach don't only show videos provided by the airline, they also connect with and charge your phone. You can adjust the brightness of your reading light and even set mood lighting for your seat. And the top of the screen will flash different colors when you want to call a flight attendant or if you want to be left alone when they come around with the drink cart. Amazingly, all the electronics for the new entertainment systems fit into the chair legs -- no more giant boxes that prevent you from stowing your carry-on bag all the way under the seat in front of you. Panasonic has already deployed those new seatback screens in the economy class sections of Emirates Airlines, and the company says more customers have shown interest in putting them on their planes this year too. No one feels all that badly for people who fly business class, but Panasonic thinks that airlines can treat their higher-paying customers much better than they're currently treating them. 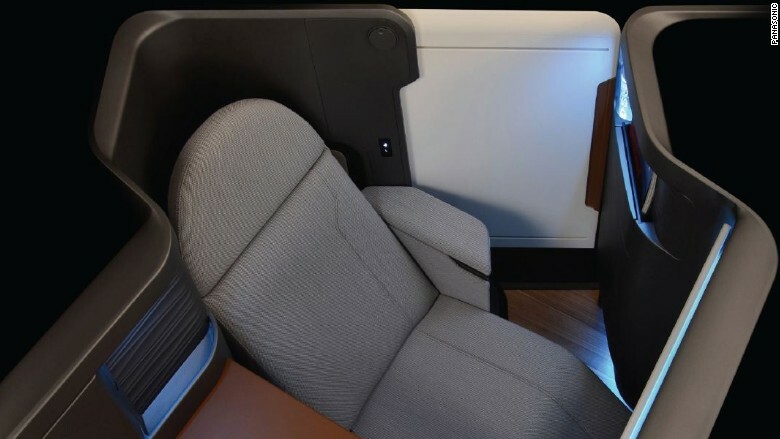 Panasonic built a model for what it believes is the ultimate business-class seat. 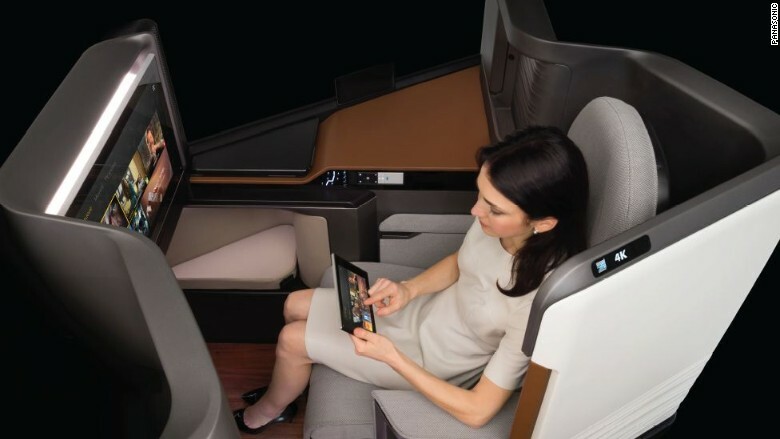 It features a 24-inch 4K touchscreen monitor, full-spectrum LED lighting, a connected remote control tablet, charging for every kind of device on the planet, and even a sliding door for business class travelers to wall themselves off from other fliers. The company believes it has built a kind of executive suite for the sky. 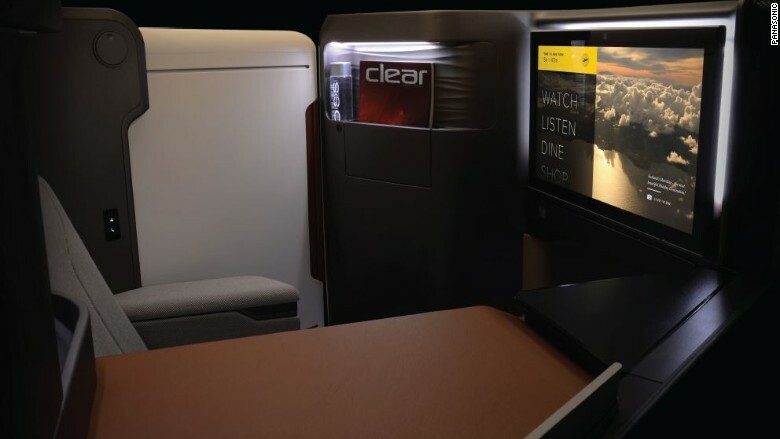 Airlines, which are always trying to reduce power consumption and weight, will like the design too -- it's built from lightweight carbon fiber materials and it sips power compared to existing entertainment systems. Panasonic's new business class seats aren't flying just yet, but the company says it has many interested customers.